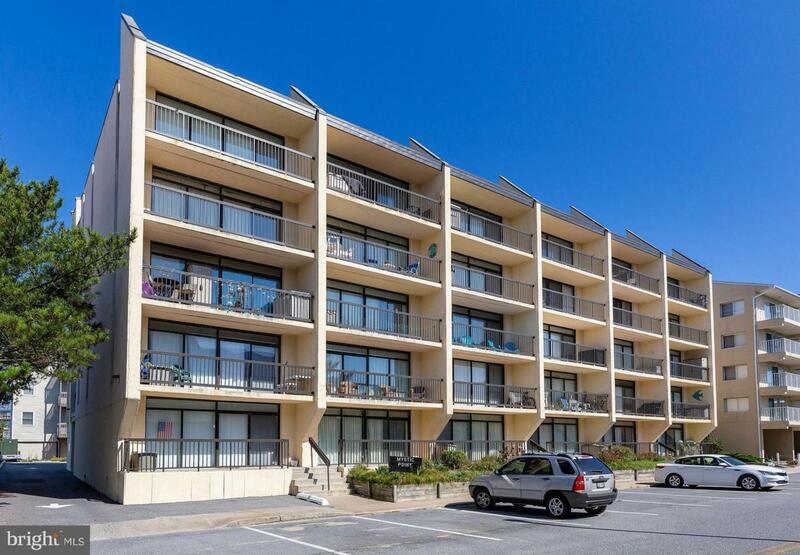 Stunning 2 bedroom, 2 bathroom unit just a glance away from the ocean! Totally remodeled 2014-2015 including both bathrooms. New Beautiful floors, open kitchen and floor plan, crown molding throughout and tastefully furnished make it move in ready! New heating and air 2016, hot water approx. 6 years old, newer washer/dryer stack and various kitchen appliances. Custom made cabinets/closets in bedrooms and hall. Custom shades installed in August 2018 with 10 year warranty. Exclusions All Pictures Knick-Knacks Over-Sized Chair in Living Area And Bench in Master Bedroom.